We’re still two years away from Avengers: Infinity War Part 1, but we’re slowly but surely figuring out which characters from the massive Marvel cinematic universe are going to show up. And we now know that Star-Lord is one of them. Probably. The movies are intended to be a culmination of everything that’s happened before in the MCU so you don’t want to get into spoilers but I’m a big fan of what James Gunn has done. [Joe Russo and I] are both big fans of what James Gunn has done. 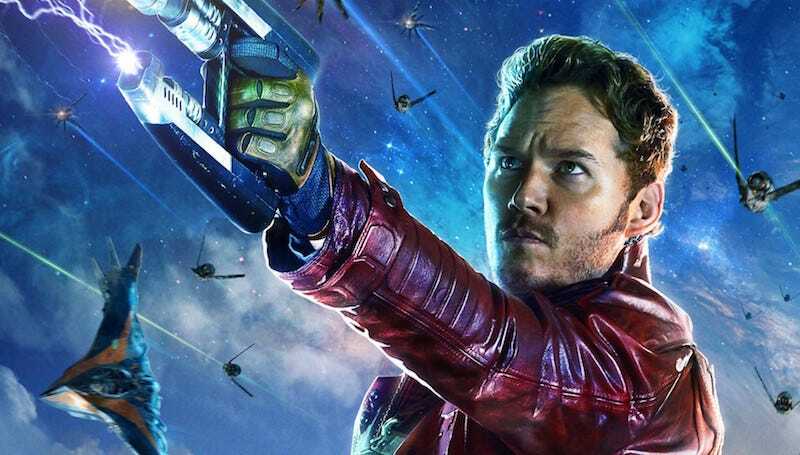 Star-Lord is a fantastic character and Chris Pratt is an awesome performer so you’d be very excited. He does stop just short of coming out and saying that Pratt’s going to be in the movie, but it’s kind of hard to interpret this quote any other way. But this is Marvel, so, while this tips the scales, there is always a possibility that it doesn’t mean what it looks, sounds, and feels like it means. Joe Russo, on the other hand, said that he’s “excited to work with Thor,” confirming that Thor would be in it. Not a huge shock, since Chris Hemsworth and Chris Evans reportedly had three movies left on both of their contracts after Age of Ultron, which would include both Infinity Wars and a standalone movie for each. We also know that Mark Ruffalo is going to be in both films. I think it’s rapidly going to be less a question of who is going to be in this giant two-parter than who isn’t.